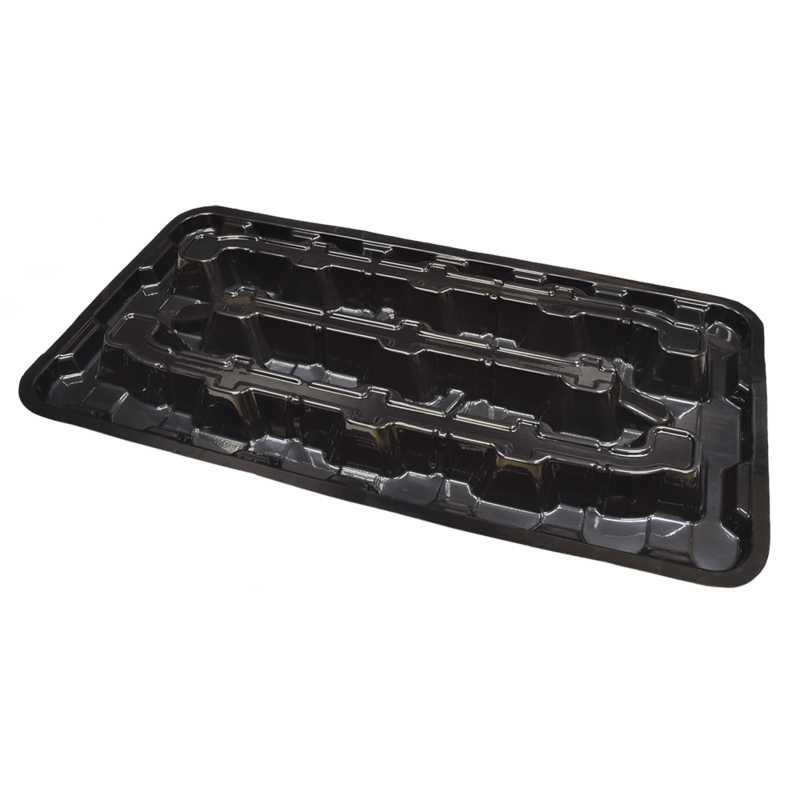 The DiversiTech High Rise Pan is an innovative plastic drain pan design which allows placement of an air handler 2-3/4" above the outside lip of the pan without the need for separate, cumbersome mounting blocks. 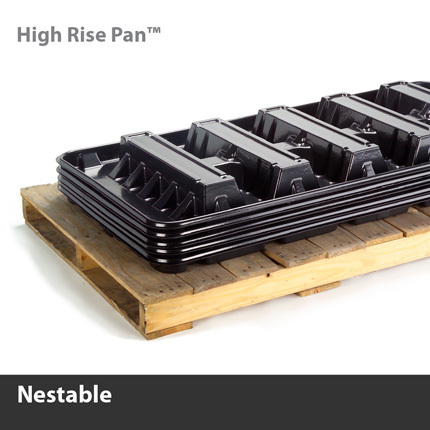 The pan has a molded-in network of risers to give a 5" lift. 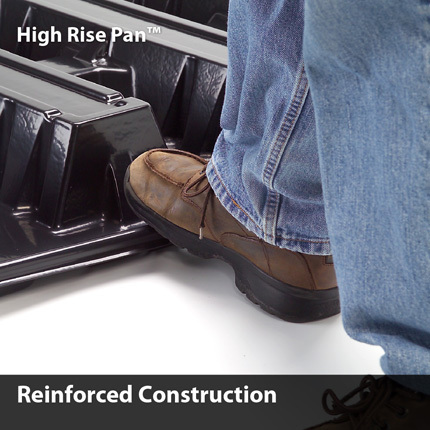 The risers are positioned to accept a wide variety of air handler sizes. 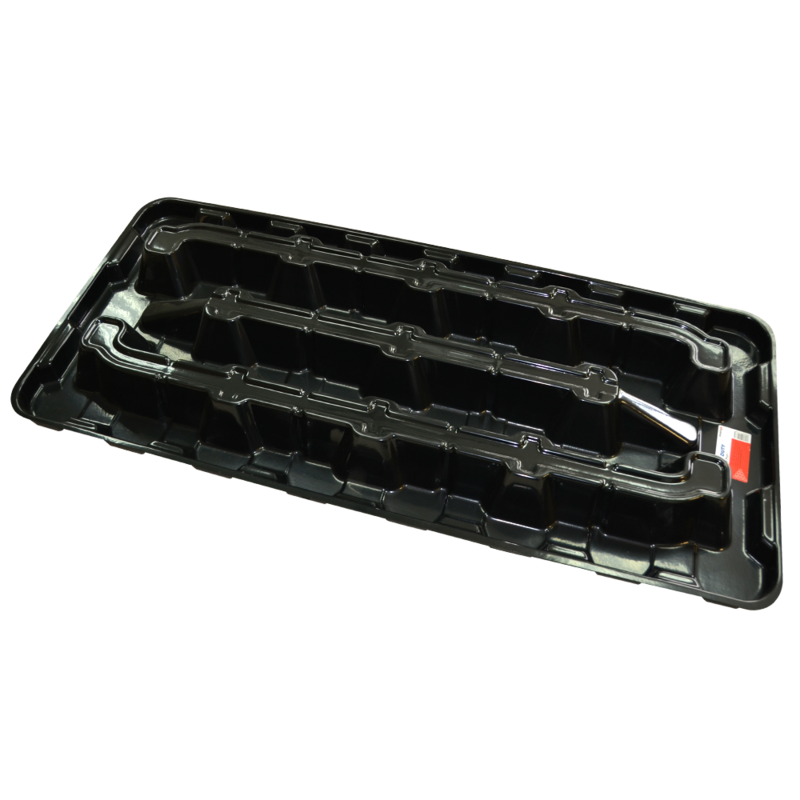 Each riser has a specially shaped area at each end to accommodate a 2" x 2" anti-vibration pad which allows for quiet operation at all times. Other features include heavy-duty reinforcement throughout to give plenty of support as well as rolled edges for durability. 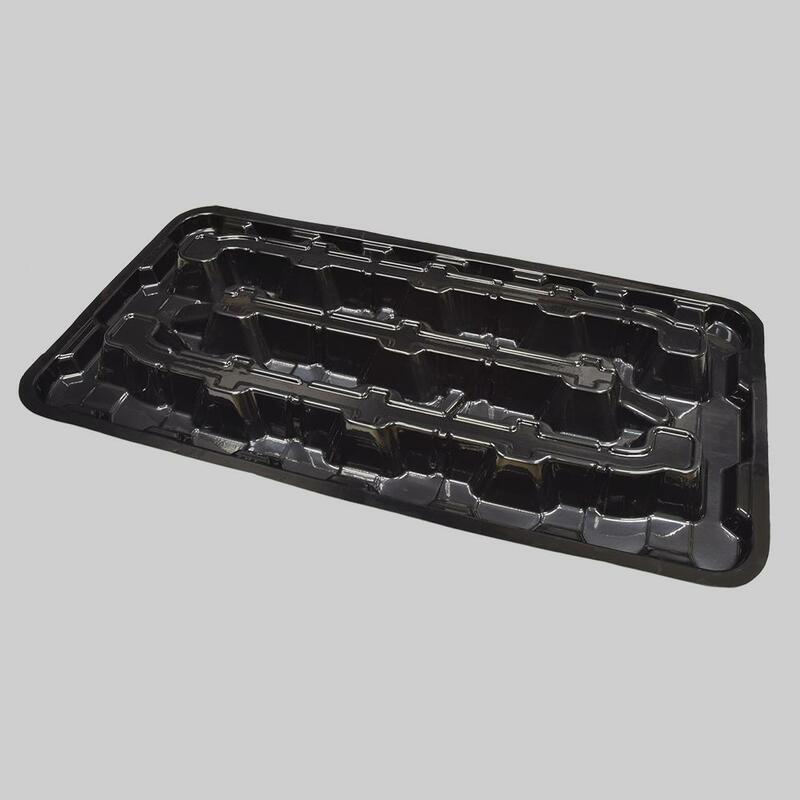 One-piece plastic construction ensures no rust, leaks or seams to split. 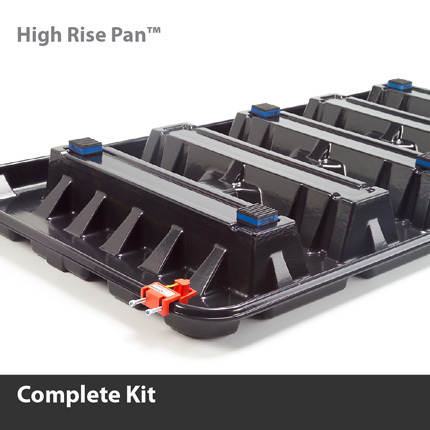 Each High Rise Pan comes complete with a Condensate Cop float switch, six EVA anti-vibration pads, and one 3/4" PVC male adapter. Installation is straightforward and hassle-free. 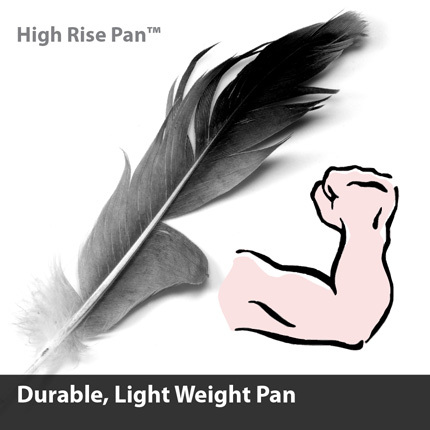 A thicker, tougher version of our regular High Rise Pans. Each pan includes a kit with one CS1200 float switch, six EVA anti-vibration pads and one 3/4" PVC male adapter. 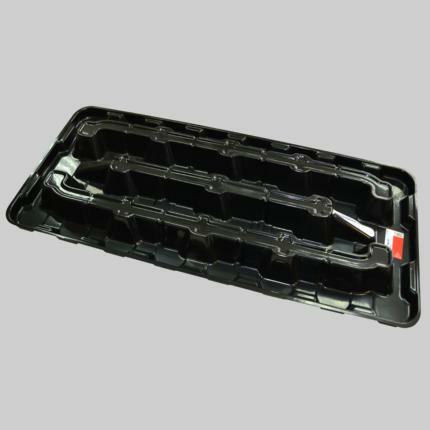 The 5” riser gives additional height needed to assure proper drain line pitch. 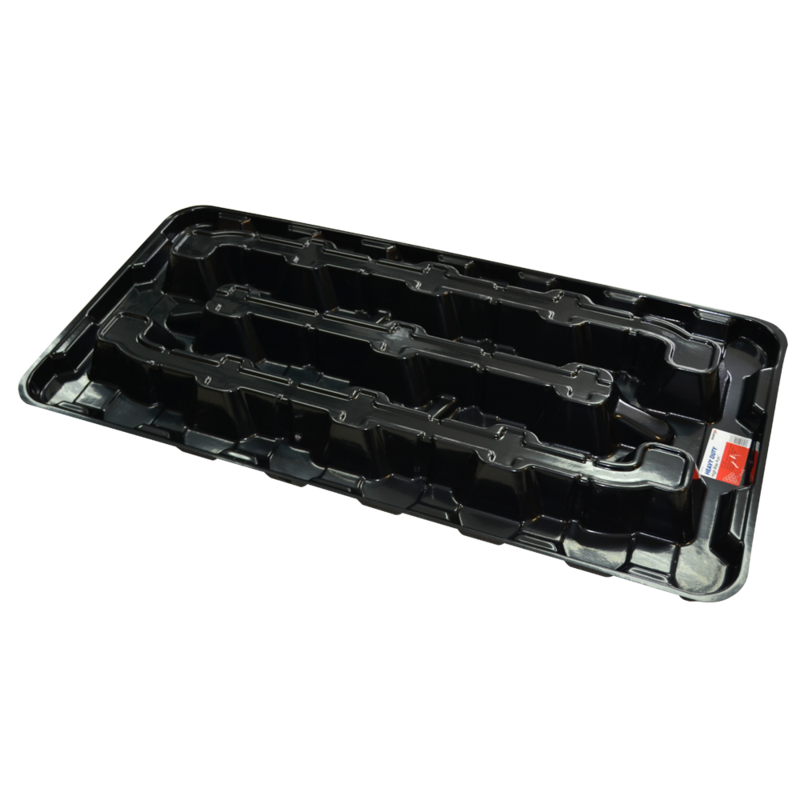 Stack EVA™ pads for even greater height. 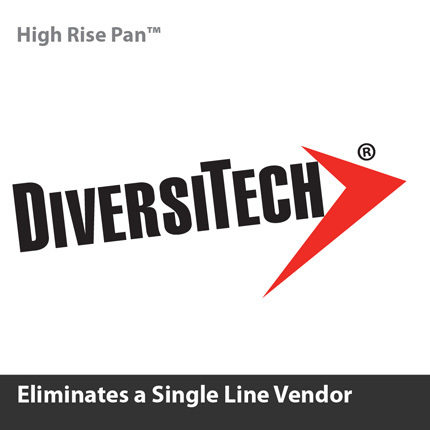 Because DiversiTech High Rise Pans are nestable, there is a tremendous decrease in volume needed to store and transport the pans. 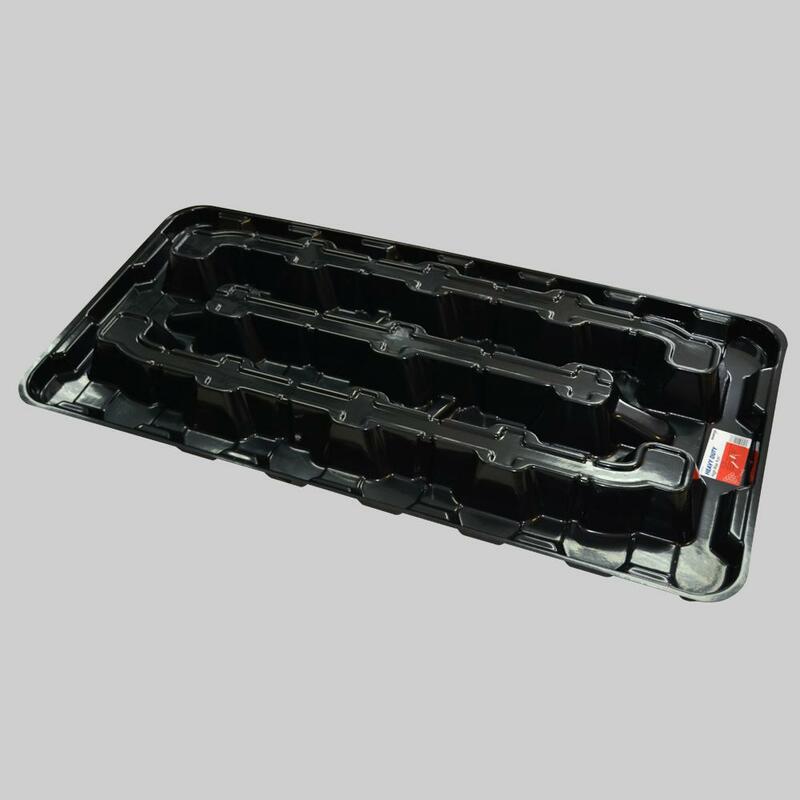 Eliminating a vendor cuts distributor costs and saves warehouse and transportation costs. EVA™ pads increase the overall height of the unit which increases available drain line pitch. 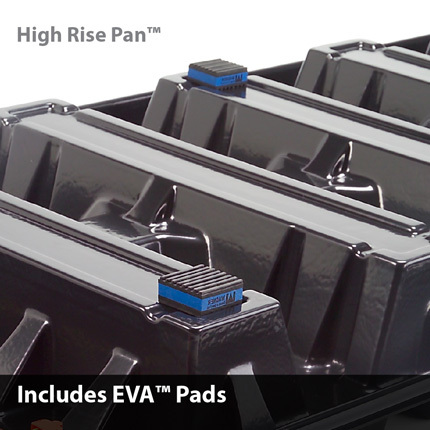 EVA™ pads also create better sound and vibration dampening for a quieter installation, meaning less call backs due to noise. Time-tested material has been used for 15 years in the market. 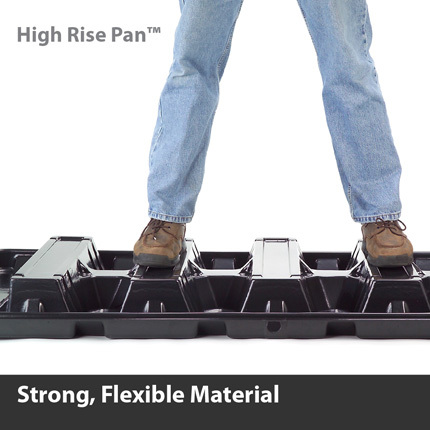 The flexibility of High Rise Pan™ allows for an easier fit in tight work place and faster installation. You will have peace of mind for long term performance. 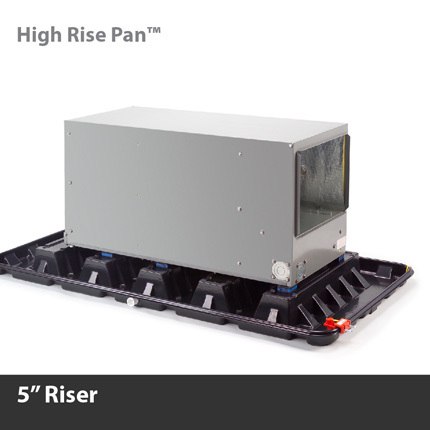 The heavy-duty reinforced construction feature of High Rise Pan™ gives support for a wider range of air handler applications. 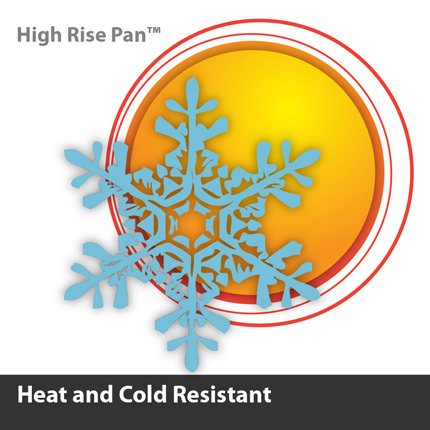 The High Rise Pan™ meets the structural and temperature requirements for attic installations.